We managed to cut and weld up the still barrel structure on one of the pieces today. With every piece and weld the structure its more massive and heavy! 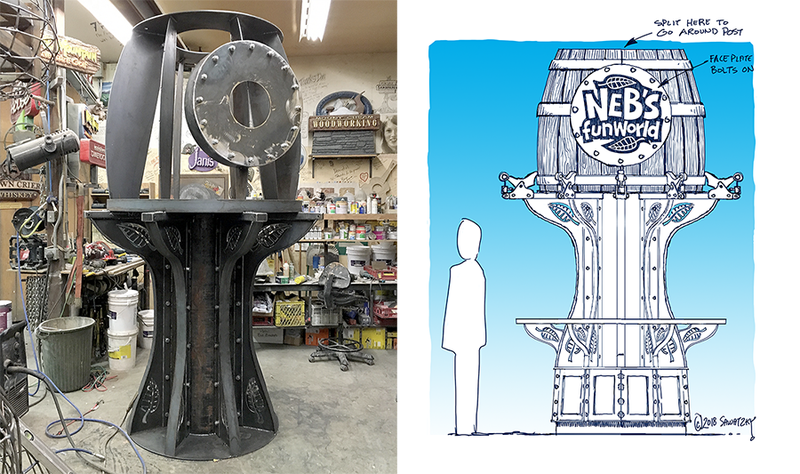 On Monday we'll finish the pencil rod frame on the barrel and then do up the second still to this stage as well. It will go much faster as all of the steel components were cut at the same time. There will be much less thinking time on the second piece as we've done it all previously. That will leave only the base structures to fabricate after that.